“Glamoured”… your finishing powder dream come true! Did you love Aromaleigh V.1’s Metamorphosis Finishing Powder? One of the top-selling products in Aromaleigh history, this unique greenish-grey powder corrected and perfected and… glamoured… a litany of beauty woes. We’ve reincarnated “Metamorphosis” and “Parfait” in a new Aromaleigh formula… “GLAMOURED”… available in three shades- the revered greenish-grey, pale yellow and ethereal lavender, this unique finishing powder combines the magic of Metamorphosis with the Color-Correcting talents of Aromaleigh V.1’s “Coquille” Finishing powder and also offers a flawless, smooth and divine finish of Aromaleigh V.1’s “Ultra Resolution” Finishing Powders. NEW Aromaleigh “Holly-Days” Holiday 2011 Limited Edition Eyeshadow Collection! We at Aromaleigh wish you a wonderful holiday season! SHOP THE COLLECTION full sizes, samples and sample sets are available! Size: Approx. 1.2 grams net weight for full sized jars. These are packaged in what is commonly known amongst mineral makeup fans as a “5 gram jar”. They contain a sifter with seal. Samples: 1/8th tsp in zip baggie. Sample sets and Individual Samples are available at the bottom of this page. Scroll down for link. To be added once customers and bloggers receive the product and we have links to post. naughty or nice: a frosted slate cocoa taupe with festive sparks of gold and violet. secret santa: a warm mid-toned pinky mauve with an aurora borealis of highlight shimmers. faux eva’green: heathery evergreen frost with a smokey lowlight and with fine subtle colorful glimmer. more fruitcake? : fruity pumpkin frost with a hint of coral… accented with bright sparks of gold and red. midnight mess: the darkest purple-indigo toned black with frosted pewter tones and a myriad of sparkle that defies the rainbow. just be-claus: not your ordinary hot chocolate. This warm mid-toned cocoa frost sparkles with prismatic joy. poison pointsettia: Saturated like bright rubies and garnets, a smooth, softly metallic frost with brilliant sparkls of bright blue. missing batteries: a cool chocolate brown frost with more shiny diamond shimmer than missing batteries at Chriustmas. it’s MY party: perfection in a warm purple frost with contrasting green and aqua shimmy and shine. peace on ? : perfectly peaceful peachy frost with the brilliance of bright gold and pink sparkles. little green elves: a neutral heathered greenish greyish frost, with hints of khaki and surprising violet and green sparkkle. uncorked: medium-toned warm buff mauve-pink fizzy with sparks of champagne pink, brilliant gold and red. down the chimney: soot and ash has never been so lovely. 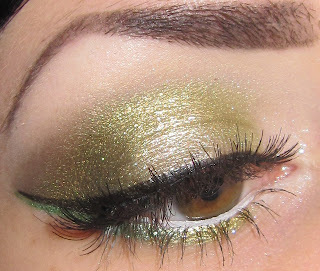 A cool toned smooth grey frost with bright green sparks and soft golden highlight shimmer. pass the glogg: neutral perfect light-midtoned buff beige with hints of pink and showers of sparkling radiance. glisten’ in! : warm gold, softly metallic frost with hot sparkles of gold and pink. Today is a new day. And we’d love for you to to enjoy it with us! Aromaleigh v2’s ultimate goal is to transition into a new, improved version of what Aromaleigh v1 was. Right now we’re in a stage of transition. Everything is in a constant state of change and flux as we move towards Aromaleigh v2 blooming into a beautiful flower. Now is the perfect time for you to tell us what you want, need, expect and would love to see in the blossom that will be Aromaleigh v2. You have the opportunity to provide feedback that can potentially have a lot of impact on the directions we take and the decisions we make. We thank you all. We want Aromaleigh v2 to be all of the best of Aromaleigh v1 but better. Your input is really valuable, and we take it seriously. We’ve received so much feedback via email, our feedback form and guestbook about the status of the reformulation of the Aromaleigh mineral foundations that we decided it was a great time to give an update about the foundations. Aromaleigh v.1 had an expansive range of foundation shades and one of the specialties was making pale foundation shades available- something which, when Aromaleigh began offering Mineral Foundation, was not commonly available from either the few Indie companies in business at the time (about 10 years ago), or large mineral makeup brands, most notably Bare Escentuals. The new foundations will be available in sample sizes, 20 gram jars, and 50 gram jars. We do not at this time have the exact gram weights for the amount of foundation in the 20 and 50 gram jars. The new Aromaleigh v.2 foundations will have new names (but will reference the Aromaleigh v.1 product they are based on), and the available shades we will offer will be equivalents to Aromaleigh v.1 shades, so you won’t need to completely start over again in regards to finding your shade. The shade naming system will remain the same. “Aromaleigh Voile and Glissade were two of our most popular products, and when I closed Aromaleigh, I realized just how important these two products were to more women than I possibly imagined! My goal in the reformulation is not to completely change these two products, but to improve the formulations using some ingredients that were not available when they were originally formulated. In addition, I’ve been trying to take into account years of feedback, reviews and comments about the formulations, and products such as Pure Cover, which was formulated as a high-coverage concealer, but many women relied on as their mineral foundation. Another aspect of the reformulation process has been to determine which Aromaleigh Mineral Foundation shades, both Voile and Glissade- were the best-selling shades. Some of the most common feedback I’ve received over a decade of offering such a wide range of formulations was that some of the shades were too “intense” in their level of coolness, warmth, etc… As a result, the combination of these shades, for example- 2C or 3C- with Aromaleigh’s Linen (L) range to create colors such as 2CL and 3CL resulted in hybrid shades that were infinitely more wearable. I’ve exported 100,000 Aromaleigh orders and have been using Excel to create data spreadsheets for both the Voile and Glissade formulas… knowing that the truth about the most wearable and frequently purchased full sized shades could be found in this data. An average of 24% of customers purchased Level One foundations. An average of 40% of customers purchased Level Two foundations. An average of 28% of customers purchased Level Three foundations. An average of 5% of customers purchased Level Four foundations. An average of .5% of customers purchased Level Five foundations. Here is a shade chart from Aromaleigh v.1 which shows at a glance which shades will remain, and which will no longer be offered (they have an “X” through them). We will be redoing the shade chart in the new Aromaleigh v.2 swatch style. We do not have an ETA for when the foundation lines will be complete. Kristen is working on one level at a time. While we realize that many customers are eagerly awaiting the return of the foundations, we will not be able to make them all available at once unless we wait several months for all formulation to be complete. The foundation range is large, so we will start adding the shade ranges by level as Kristen completes her reformulation and testing of each shade range, starting with the lightest shades first. We regret that we are not able to provide any definite ETA dates for when certain shades or levels will be available, but we assure you that we are aware that the foundations are the product that Aromaleigh customers want to come back as quickly as possible, and are working very hard towards the goal of making that happen for all of you! 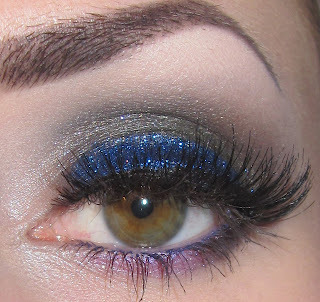 Some gorgeous looks from Blix using Aromaleigh Cosmetic Glitters- $2 for a heap of shimmer! Aromaleigh’s Cosmetic Glitters are on sale at a huge discount- each $3 bag serves up a heaping tablespoon of beautiful shimmer. HERE. Some shades are sold out, and many are nearing very low inventory… so get inspired and don’t be afraid to sparkle! 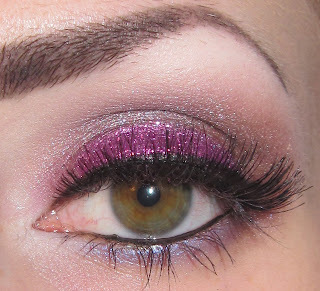 These looks were posted to the Aromaleigh v.2 Facebook page by Blix, from her blog, Glitter is my Crack. Phenomenal! You can view her many looks showcasing her incredible talent using Aromaleigh eyeshadows and glitters, HERE. “STARRY NIGHT” our newest Limited Edition eyeshadow collection! We’ve included a link to the Wikipedia page for each star, for those who are interested in learning more about each star and the constallation it is in. This inspiring collection is available in individual full size jars, sample sets and individual samples. Sample sets and Individual Samples are available!